This month on 23rd july, I am completing 30 years of torturing others.....LOL....so i decided why not i celebrate it by doing a giveaway. it is an international giveaway.....that means anyone can take part. 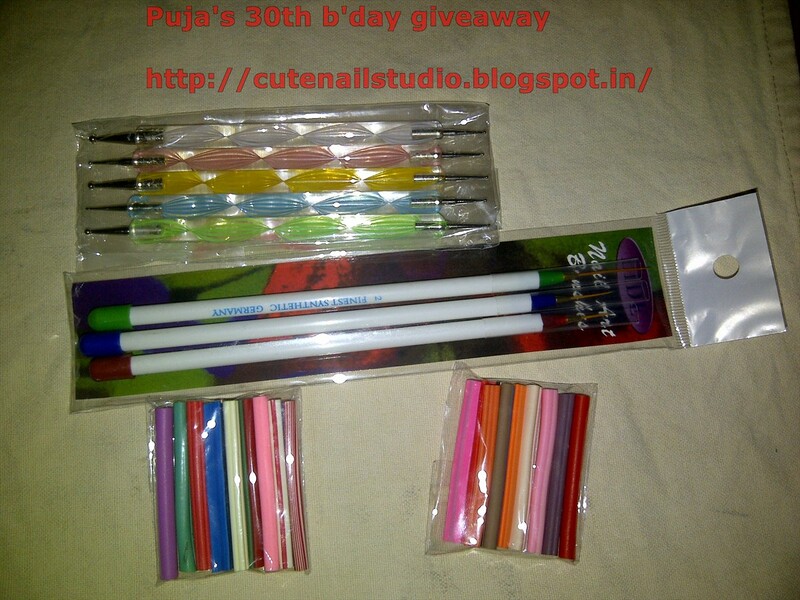 there will be two winner....selected randomly.one international and one indian. fill the rafflecopter below to enter. 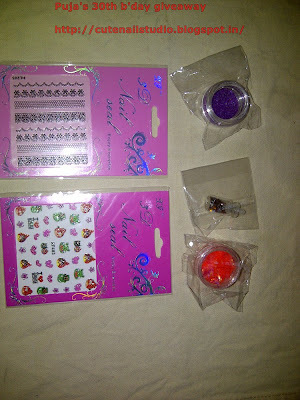 this giveaway starts from 6.7.2012 and ends on 7.8.2011.....i will declare the winner on 8.8.2012.
also two lucky indian entries will get nyx girls nail paint each. 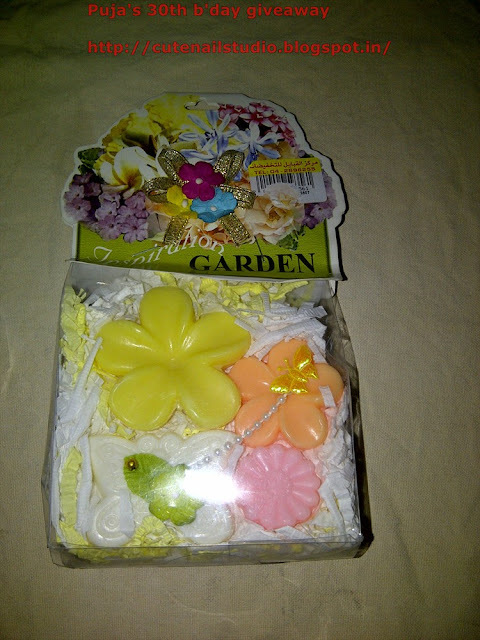 see the pics what you can win.....all the best.. Following through GFC is compulsory. If you unfollow afterwards i will ban you from further giveaways and contests. 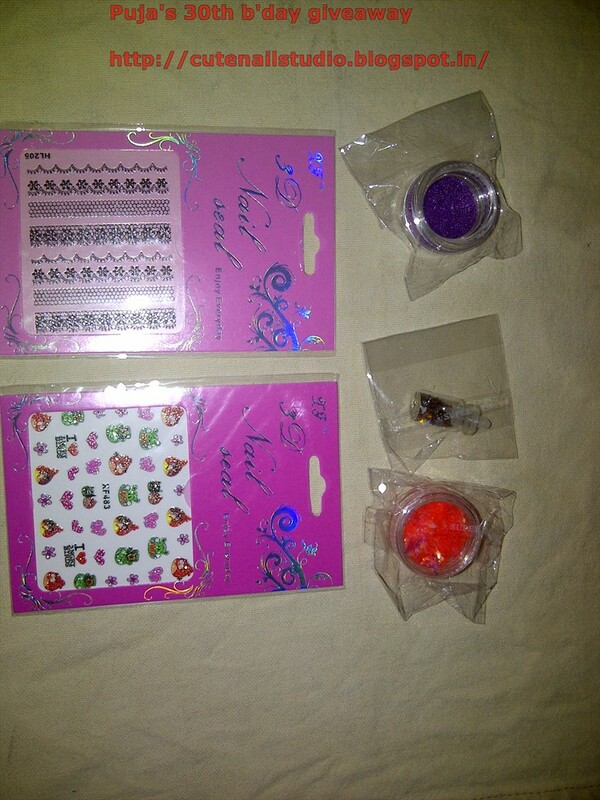 2 sets of nail stickers angry birds and lace,purple color steel balls box,sheet glitter in orange,small heart shape rhinestones. 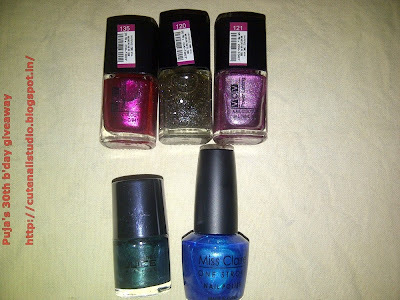 3 vov nail paints, 1 nail juice nail paint and 1 Miss claire one stroke nail paint.